Getting a loan from a bank is a big and slow process that will require all your time and money among other legal things. The paperwork is tedious, and filling it does not guarantee you that the loan will be approved automatically. The banks or real estate brokers will allow you to borrow a part of the purchase price of the home and not the value of the property. Even so, the banks will only allow you a certain amount of loans despite your financial situation. You can use money from private lenders for any real estate purpose you wish to. You are free to use it as a down payment when borrowing a mortgage, repairs and renovations, cash for short sale, re-instating the loan, money to move to your new home and other real estate issues. With private money, you have the ability to make multiple purchases on several properties without question. Keep in mind that private money does not appear on your credit report, meaning the score on your credit is not affected positively or negatively. Closings on homes can be done sooner when you have money from private lenders. How can you find private lenders? There are many people who want to make investments on their cash, which is why they provide money in real estate. Real estate has the potential to bring a lot of profit on most of its investments. People who put their money in savings will rarely get large returns and the banks do not act as a hedge against inflation. There are many ways to marker or find the private lenders, but the most successful way is to look in the inner circles first. By this, I mean you can borrow money from your family, friends, neighbours, business contacts, co-workers, local real estate owners and investors, your accountant, lawyer and doctor among other people. People who trust you are more likely going to offer you the money open handed. If not, you can try to find investors through mailing CD holders, advertisement on social media and newspaper, inviting business people to a luncheon among other methods. Creating a spelled out private lending plan will help you when you are making purchasing decisions. Like any other lenders, the private lender needs to feel safe and secure when giving you a loan. 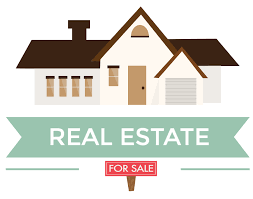 a plan will lay out all the real estate areas you plan on spending the money on and the lender will give you a portion of the money they believe you will use well. 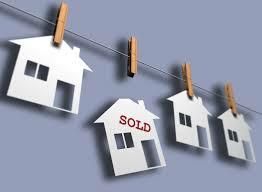 The lenders will need a clear and detailed description that explains every single use of the loan. If you cannot create a plan on your own, ensure you work with a professional. Get all the correct data needed and make a presentation with the details that will be easy to understand. Makes sure you create an informational document for the lender that contains your history in real estate investments, qualifications and all other legal documents needed for the process.